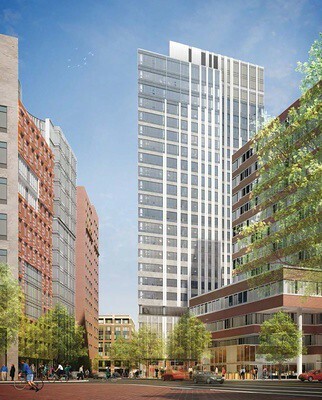 Boston Property is proposing to build a 22 story residence building @ 88 Ames Street in Kendal Sq. 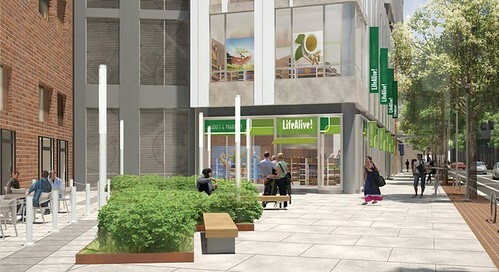 It will be 200K sqft, including 280 units plus street level retail. Street View - Looking North on Ames St.
Street View - Looking South on Ames St.
Street View - Looking West on Main St.
Last edited by BeeLine; 11-23-2014 at 03:15 PM. That will help humanize the area quite a bit. Great project. 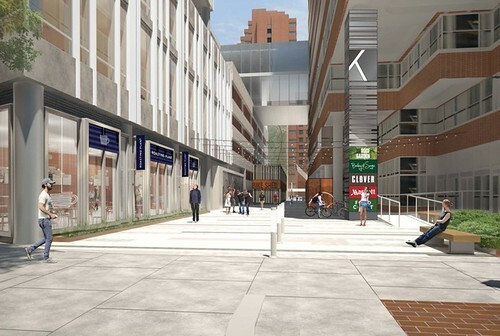 The Broad Institute + this are really re-making this stretch of Ames Street. 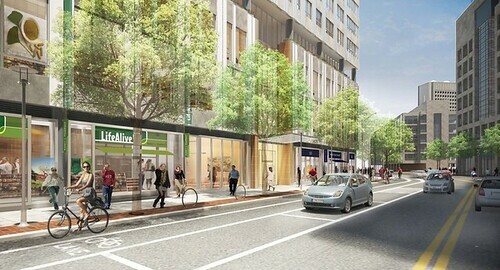 Turns an eyesore into an active streetwall + residential. I hope this is as tall as permitting allows. 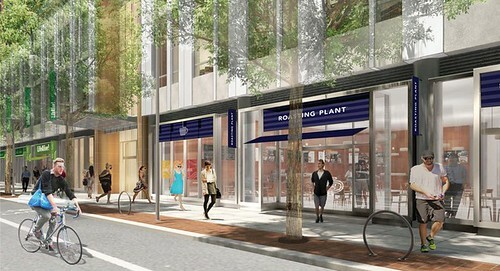 Amusing to see the use of tenant floor plans for 355 Main on the wind study image for the project website. Interesting optical illusion with the windows lengthening as you go up in floor height - could either look really cool or a bit strange depending on the materials they end up using. It looks like a shorter better version of the Time Warner Center on one side and the Avalon Bay building on the other. Cambridge is looking very good these days. This looks to be about as great of an improvement as there could be for this spot. Let's hope it gets approved. First real game changer in the area. Hope it (finally) goes as planned. 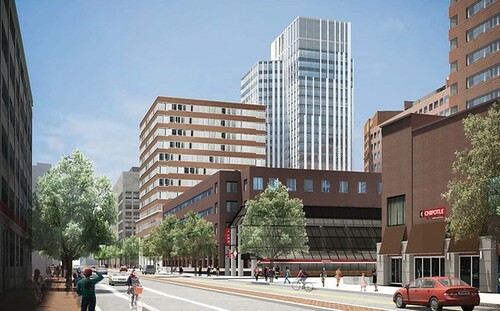 This plus all the MIT East Gateway stuff is really going to change the look of this place for the better finally. Note who the tenant of that building is and then note the source of the base map. Amusing, but not an oddity. 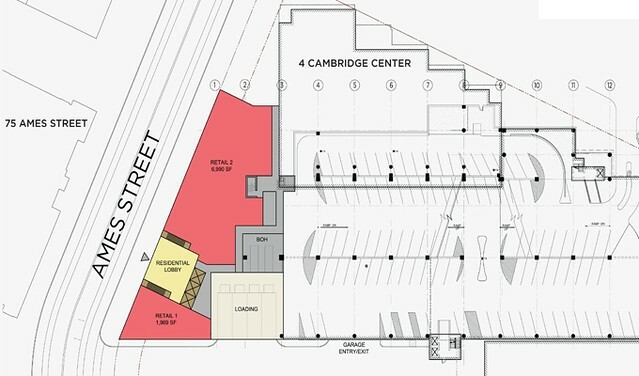 I just realized that the landscape and street design image glosses over the move of the loading dock and Ames St garage entry to the alley between 355 Main (ex-5CC) and the garage. I would have expected that BP would consolidate the garage entrance to the Broadway one, but perhaps it's incapable of handling the volume. 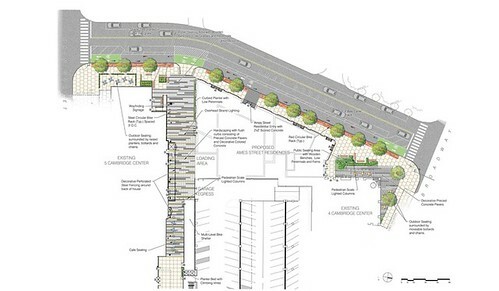 All that fancy paving, and the outdoor patio for Legal will be for naught. Google's CC HQ interior is mapped on Google Maps, just like Simon malls and T stations. 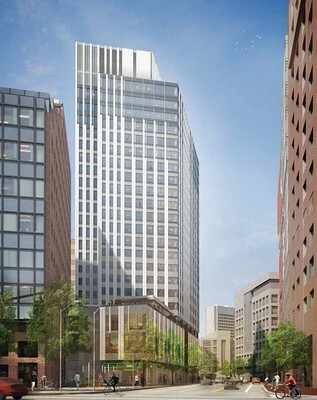 If I were Google, I'd subsidize apartments in this building for developers. 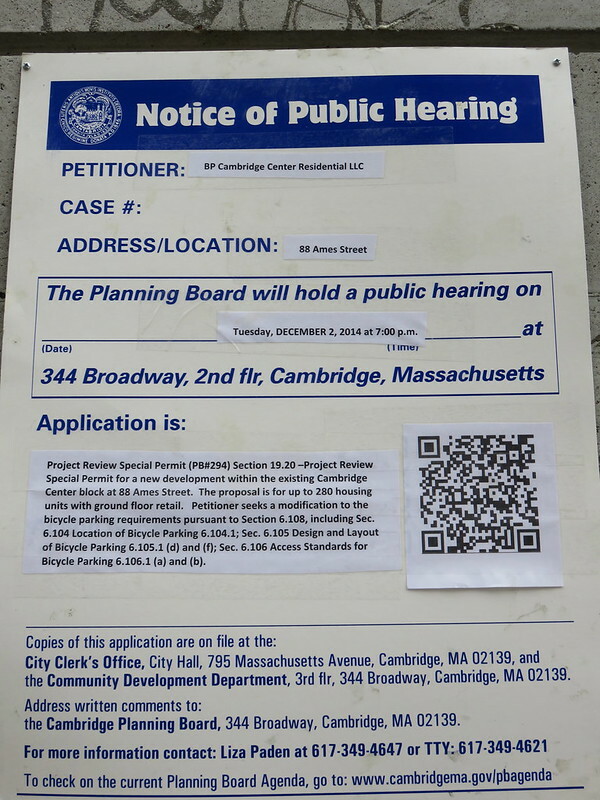 I think that would cause the locals to oppose the project out of spite. There's already a ton of tension in Area IV about Kendall's expansion and supposed lack of give-back to the community by the companies. If they did subsidize units for developers it would boil over so damn quick. Morris’s unemployment benefits ran out recently, and she gets by on temp jobs. Her 26-year-old son, who lives with her, is also out of work. 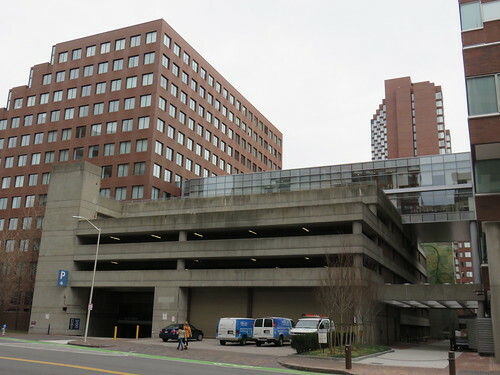 "It’s absurd that so much money pours into Kendall Square", Morris said, "while next door parents struggle to feed their children." 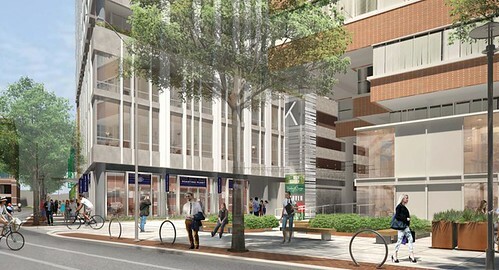 I'm not saying it isn't difficult for a lot of people, but why is it inexcusable for this private money to be flowing into Kendall at such a high rate? It's unfortunate that the poor are being pushed out of the area, but the impact of these developments go so much further than this neighborhood. Think of it as your daily living environment, the place you've called home for years, often struggling, being completely transformed without you having any say whatsoever. On top of that, those doing the transformation have zero to little regard the effects they are having on the landscape. You know for a fact that most of these developers, while they may not actively want to displace the current tenants (though some might) wished to whatever god they pray to that the said tenants just didn't exist. They are pesky poor people standing in the way of expansion and progress. I also keep hearing a lot of well to do (and lets face it, white) tech workers from the middle class responding to the situation in Kendall with an "aw shucks that's capitalism" mentality. I'm not saying private companies have an obligation to spend money on charity or even that the residents should be entitled to stay, but the complete disregard and lack of respect for the neighborhood that has existed for years is pretty disturbing to me. If I lived there I'd be pretty pissed.